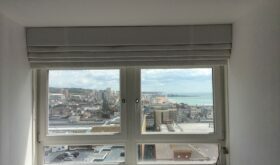 Bespoke Curtains & Blinds based in Brighton & Hove, servicing the South East and London. At The Curtain Workshop we offer custom designed curtains, blinds and soft furnishings handmade in our own workroom. We provide a complete service from fabric choice & design to installation & arrangement including Professional Design Consultation at your home or business and will produce a competitive estimate. 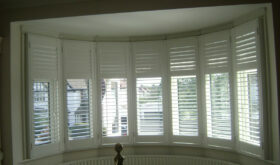 Not only do we we offer our bespoke curtains and blinds but we also carry out alterations in our Workshop in Hove. Perhaps you have moved house and your much loved curtains no longer fit….. Just give us a call we would be happy to take a look for you. 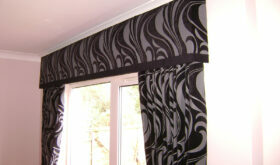 To see examples of styles & fabrics, please view our gallery > everything you see is made by us at the Curtain Workshop. At Curtain Workshop we have a selection of basic curtain and blind forms; from which along with our extensive array of curtain fabrics and accessories our design consultant will draw inspiration to create your bespoke handmade composition. 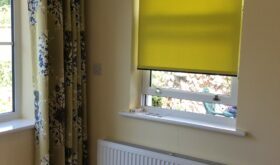 The most eye-catching curtain or blind designs are often those where a traditional curtain or blind idea is enhanced with a touch of originality, be it in proportion, curtain or blind fabric or in detailing.